It’s time for the yearly harvest with Playmobil. Get the farmer out on his tractor and drive through the farm to his field of crops. There you can lower the sickle bar to harvest the crops from the ground before piling into your loading bucket. Drive back to the farmhouse before tilting the bucket to easily remove the crops. 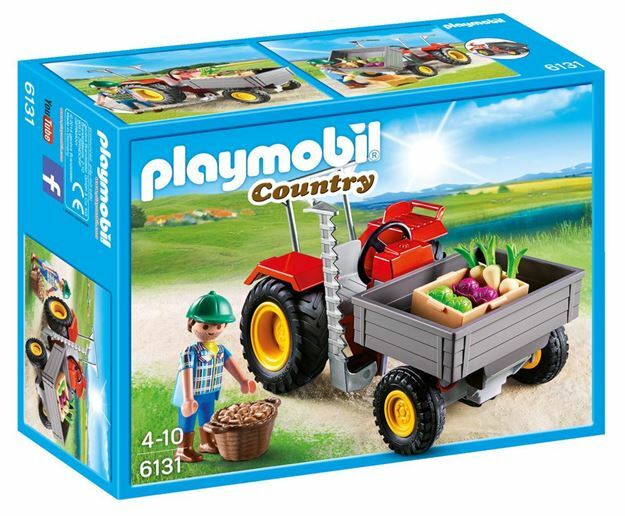 Includes: a tractor, figure, crops and accessories. Part of the Country and Pony range. Age 4+ years. Distributed in New Zealand by Holdson.